Adding material handling robots to your factory automation set up not only speeds up processes, but also increases production rates. These robots provide production rate boosts simply by doing what their name suggests; handling parts and moving them to new locations. Since this task is often repetitive and dull, material handling robots offer a higher level of accuracy when compared to their human counterparts. These robots provide a consistent, robotic system that never suffers exhaustion or exhibits issues with tough movements. 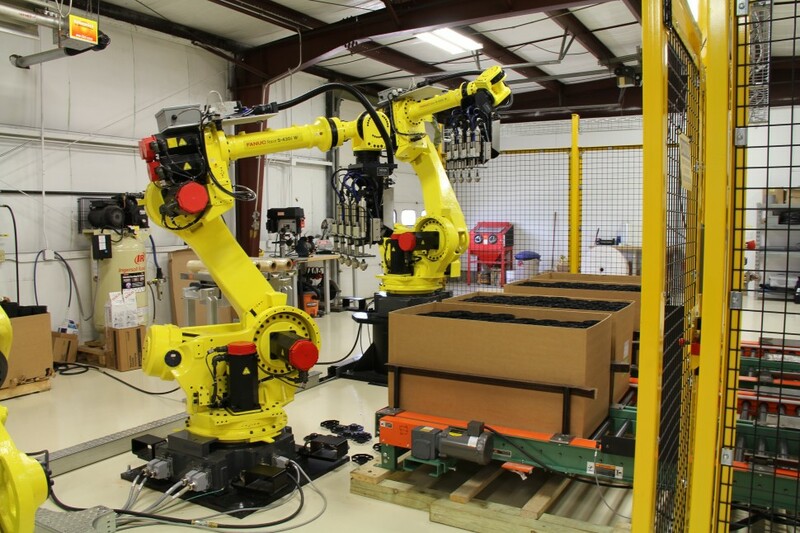 ICR’s training and programming services can also be utilized to extend the capabilities of material handling robots to other industrial applications. It has been shown that companies can achieve long-term savings as production output gradually increases post-integration. We also design, develop, and implement material handling robots within production lines, even creating new robotic cells when needed. 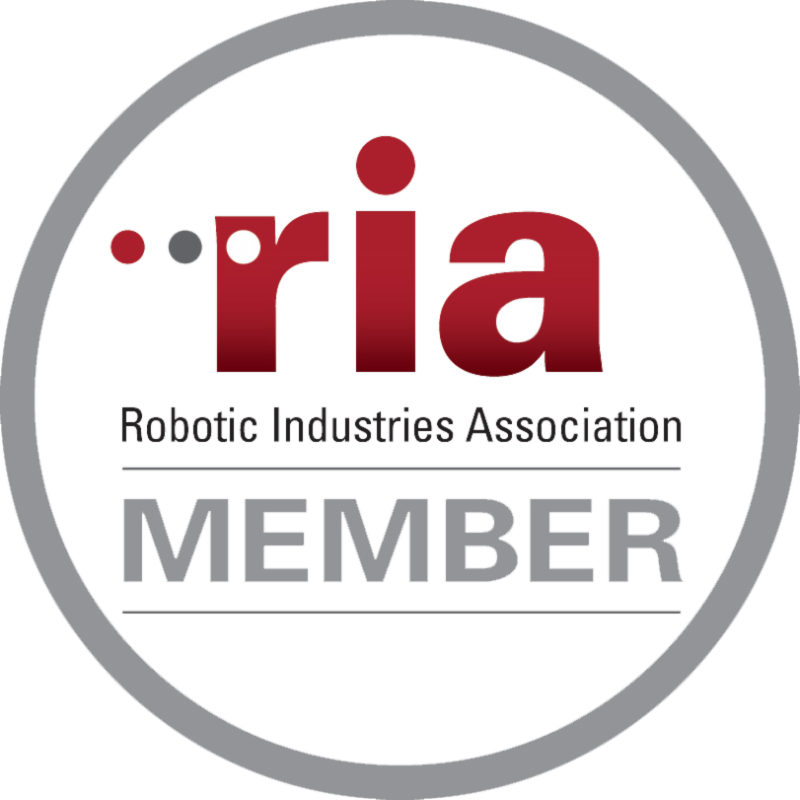 Our ICR engineers are ready to design any productivity-increasing project or support the integration of all material handling robotic cells. 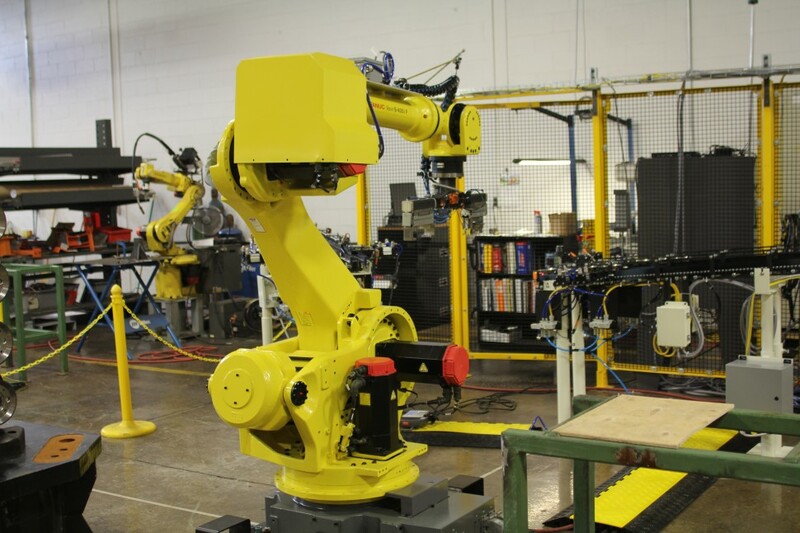 ICR’s robotic repair technicians possess decades of experience refurbishing machine tending robots. Engineers utilize these types of robots for integration projects of all sizes. If your new robotic integration project calls for machine tending robotic cells, call or request a quote from a ICR robotic engineer today using the form below.